Please visit our volunteer page for information about serving on our Board of Directors. Jim is a native New Englander that moved to the Maryland countryside in 2006 along with his wife, Shannon, and their black lab, Zora. He is a Navy veteran, having spent five years in the submarine force on USS San Juan (SSN-751). 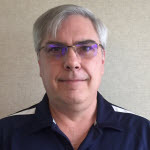 Jim has spent the past fifteen years as a business strategy and acquisitions professional, working in management roles in the energy and industrial manufacturing fields. He holds a Bachelor of Science degree in Electrical Engineering from the United States Naval Academy and an MBA in Finance and Strategic Management from the Wharton School, University of Pennsylvania. He and his wife have been active with Hero Dogs since its inception, and were the first puppy sitters for the organization. Being puppy sitters turned into being puppy raisers for Theodore Roosevelt, who still lives with family and now serves as both an Ambassador dog and Therapy dog for Hero Dogs. Jim, Shannon, and their kids continue to sporadically puppy sit, and enthusiastically support Hero Dogs and its mission. Blair is a financial executive with over 18 years of experience serving state and local government transportation agencies in the areas of roadway tolling and public transit. For the first half of his career he worked for the IBM Corporation in various marketing and financial management positions. Blair holds an MBA from the Hagan School of Business, Iona College, NY and a bachelor of science in Biology from Trinity College, CT. He has three grown children, two sons and a daughter; and one grandson. His younger son is a U.S. Navy Lt. and P-3 Orion aircraft pilot. Blair coached youth baseball and softball, and served 13 years as a youth travel and high school ice hockey coach. 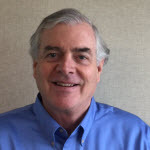 Throughout his professional life, Blair has lived in New York, Connecticut, Pennsylvania, Florida, Georgia and now resides in Chevy Chase, Maryland with his miniature schnauzer, Linus. As a lifelong dog lover and owner, Blair is eager and enthusiastic about his new role serving Hero Dogs, Inc.
Bess is a native Upstate New Yorker. She moved to Washington D.C. after college for a change of scenery and has lived in the DMV area for 10 years. 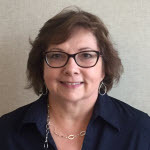 Bess was formerly an auditor with CohnReznick in Bethesda Maryland, specializing in Non-Profit clients. Most recently Bess was hired as the Grants and Contracts Manager for a DC non-profit College Summit. She received her Master’s in Accounting from American University. Bess is a lifelong dog lover and grew up with her family Labs Gigi, Sadie and Chaz. She now lives in Silver Spring with her teacup Chihuahua named Diamonds and her Boxer named Monday. Bess is looking forward to her fourth year working with the Board in order to support the mission of Hero Dogs! Missy is the Volunteer Programs Specialist at Best Friends Animal Society in New York City. She recruits, trains and supports the volunteers and fosters at the organization. Prior to working at Best Friends, Missy was a Special Education teacher in the DC public school system for six years. She graduated from Vanderbilt University in May 2012 with a Bachelor of Science Degree in Special Education. Immediately following graduation, she joined Teach for America for two years while earning a Master of Education at George Mason University. During her time in DC, Missy was a weekly kennel helper at Hero Dogs, Inc. In addition, she volunteered much of her time at the Humane Rescue Alliance in the Low Cost Vaccine Clinic and Spay and Neuter Clinic. She and her husband, Gavin, now live in Manhattan with their seven-year-old rescue dog named Roo. They also open their home to foster cats with special needs and adorable foster kittens. Missy is very passionate about working with animals and loves coming back to DC to visit her beloved Hero Dogs. Thene grew up in Minnesota and moved East after law school to escape the bitter winters. She practiced corporate law for twenty years, retiring as a partner from Hogan & Hartson LLP in 2010. A spinal cord injury survivor, she is passionate about improving the lives of the disabled and remembers fondly how her dog Winnie provided much comfort during many months of physical and occupational therapy. She has served on the Board of Directors and as Secretary and Treasurer of MedStar National Rehabilitation Network (where she was an inpatient following her injury). Thene earned a Juris Doctorate from the University of Minnesota in Minneapolis and got her BA from the University of Minnesota’s Duluth campus (a colder school there never was). She lives on a farm in Sandy Spring, Maryland with her husband George, springer spaniel Lucy and five horses. Ken retired in April, 2018 after 35 years with IBM, Aspen Systems Corporation, Lockheed Martin and Posterity Group where he held Chief Information Officer, Chief Security Officer, and Chief Technology Officer positions providing information technology strategy, planning, implementation, and operations to U.S. defense and civilian agencies. Ken holds a Bachelor of Science degree in Computer Science from Binghamton University in NY. 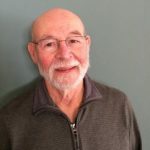 Following retirement, Ken researched volunteer opportunities with organizations that offered services to address veteran homelessness, suicide prevention and education. He found that Hero Dogs’ mission to help improve the quality of life of veterans and first responders through placement and support of service dogs positively contributes to all issues veterans face. Ken and his wife Shelly are avid world travelers, and also enjoy getting to the beach every month. They also love being with their daughter Melissa, and grandchildren Rhys and Knox. A native New Yorker, Ken loves rooting for the Yankees, Giants, and Knicks. He is also a Beatlemaniac, and loves listening to The Beatles while attending to his two cats, Lennon and McCartney. 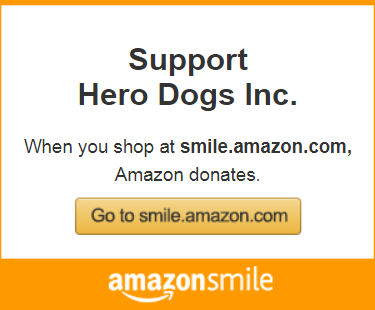 Ken is grateful to have an opportunity to support veterans and first responders, and help Hero Dogs deliver its mission. Linda is a Principal Professional Staff Analyst at the Johns Hopkins University Applied Physics Laboratory (JHU/APL), Laurel, Maryland. She has more than 30 years of experience in defense analysis. She joined JHU/APL in January 1998 and has held a number of leadership positions in technical and program management. 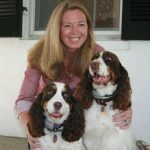 A native of New Jersey, she is a retired Naval Officer and has been a volunteer with Hero Dogs, Inc. since its inception. Phipps earned two bachelor’s degrees in Marine Biology and English Literature from Fairleigh Dickinson University in Florham Park NJ and a master’s degree in Operations Research from the Naval Postgraduate School. She resides in Waldorf, Maryland with her husband Carl and two Black Lab mix rescue dogs, Duchess and Jester. Dan is originally a native of Rochester, New York who moved with his wife Beverly to the Washington, D.C. area to take a “Post Doc” with a NASA contractor in the early days of the search for extra-terrestrial life on the planet Mars. 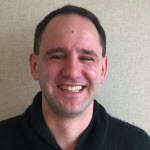 He has a Ph.D. in microbiology from the University of Rochester and spent 30 years teaching microbiology and zoology courses at the Rockville campus of Montgomery College where he served for a decade as Biology Department Chair. Over the years they have had 2 dogs, 3 cats, 2 guinea pigs and a goldfish. Currently they are empty nesters getting their pet fix from frequent bouts of puppy sitting. In 2001, he and his wife raised a guide dog puppy for the Guide Dog Foundation for the Blind. “Chef” worked for a decade in Manhattan before succumbing to cancer. They reside in the Montgomery County Agricultural Reserve where they indulge in their major hobby of gardening. They have been volunteering with Hero Dogs, Inc. since 2011 when they first became puppy sitters. Since that time they have served in a variety of capacities ranging from kennel helpers to taking responsibility for the deck garden and coordinating the spring and fall grounds cleanup. Glenn is a Veterans Law Judge at the Board of Veterans Appeals, United States Department of Veterans Affairs, where he has been employed for more than 20 years. Prior to that, he was employed in the private practice of law for six years. He is on the Executive Board for the American Federation of Government Employees, Local 17, and is also on the Board of Directors of his local homeowners association. Other volunteer activities include being a team representative for his local MCSL swim team for the past 4 years and also coaching boys lacrosse for 8 years with the Olney Boys and Girls Club. 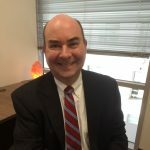 He is a Maryland native who has an undergraduate degree from the University of Maryland, College Park and a Juris Doctorate from George Mason University. He and his wife, Kelly, have three children and reside in Brookeville, Maryland with two cats and their rescue dog Fabio. Fabio is a good boy but of uncertain heritage. Kate works at the US Department of Health and Human Services and has lived in the Washington DC metro for 10 years. She has spent the last 20 years working in Health Information Technology leading organizational change and strategy. 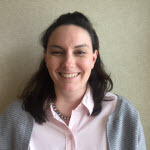 Kate spent three years at the Substance Abuse and Mental Health Administration as a subject matter expert on Privacy and Technology Assisted Care, focusing on trauma and veterans affairs, addiction treatment services and medication assisted treatment. In addition to Hero Dogs she is actively involved in the local Boy Scout Troop. Kate lives with her husband, son and Cavapoo Turbo.